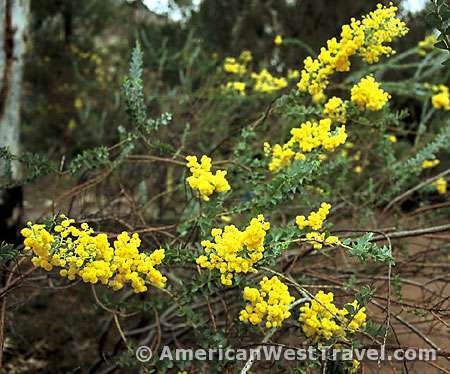 One of the oldest and largest botanical gardens in the American Southwest, Boyce Thompson Arboretum offers simultaneously spectacular and diverse scenic beauty along with an educational experience. 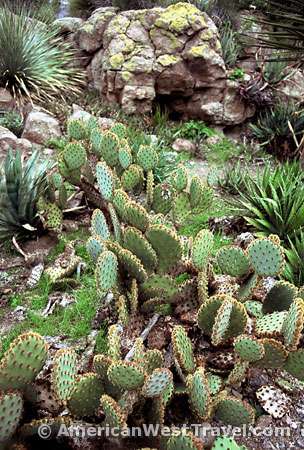 Thousands of plants from the world's arid regions are integrated with a beautiful slice of our own Sonoran Desert. Mining magnate William Boyce Thompson founded the arboretum during the 1920s with the goal of creating a garden where desert plants could be studied and appreciated. With its 350 acres and miles of trails, the arboretum has much more the feel of a park than a garden. 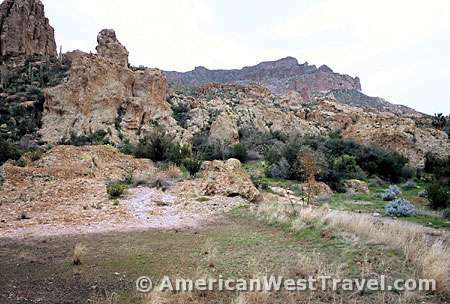 In fact, Boyce Thompson is officially an Arizona state park. There are actually a variety of cultivated gardens and other exhibits, ranging from the Chihuahuan Desert Trail to the Australian Walkabout, carefully embedded into the native Sonoran Desert environment such that the natural feel of the desert is never disrupted. There are actually two environments found here. 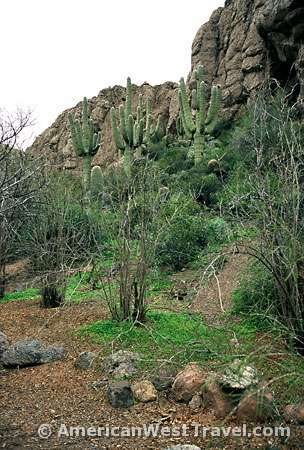 The Sonoran Desert Upland community features a variety of cacti and scrub on rolling hills and fields. Within spectacular Queen Creek Canyon you will find a lush riparian or stream environment. 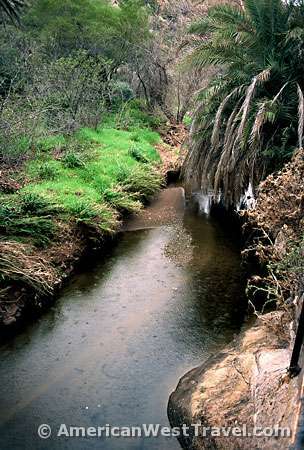 Queen Creek flows most of the year through the steep canyon and supports water loving plants including many tall trees. The canyon provides a cool respite from the heat during the long summer months. The arboretum sits at the base of the jagged Picketpost Mountains which offer a very scenic backdrop through much of the park. The Main Trail provides a 1 1/2 mile loop through the arboretum. There are many side trails to the various specialty gardens and other exhibits. Visitors are encouraged to take the self-guided tour. There are numbered signposts throughout, and the inexpensive Trail Guide is available for purchase at the gift shop. The trail first goes through the Hummingbird / Butterfly Garden where colorful flowering plants attract the hummingbirds and butterflies through much of the year. You quickly arrive at the Smith Interpretive Center and Heritage Rose Garden. The center's greenhouse features cacti and succulents from around the world, which are not frost tolerant. The Main Trail roughly parallels the normally dry Silver King Wash. This part of the arboretum is arid and features plenty of cacti. You can take a side trip on the Sonoran Desert Trail or the Chihuahuan Desert Trail. The main Cactus Garden is adjacent to the Main Trail. Look for the bizarre boojum trees from Baja California. The two specimens were brought here from Mexico in the 1920s and are the tallest ones on display in the United States. 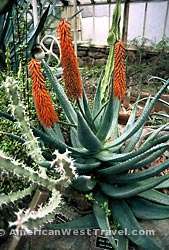 The tall conical plants are related to our native Ocotillo. You then arrive at Ayer Lake, a man-made oasis whose waters irrigate the arboretum's gardens. The lake is home to waterfowl, shorebirds, and other wildlife. Two endangered species of desert fish have been introduced here: the Gila Topminnow and Desert Pupfish. The trail continues through the Sonoran Desert Upland Natural Area before switch backing into dramatic Queen Creek Canyon. The native riparian zone along Queen Creek offers coolness, moisture, and shade, a complete change from the arid Sonoran Desert upland. Water-loving native trees like the Cottonwood, Arizona Ash, Willow, and Black Walnut are abundant here. As the trail widens, pomegranate trees, native to Europe and Asia, line it. Pomegranates have been cultivated since ancient times. It has recently become quite popular, with pomegranate fruit and juice available at many markets. 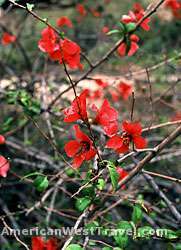 These trees produce colorful flowers in the spring and colorful foliage in the autumn. Further along Queen Creek you come to the Herb Garden and Clevenger House. The rock house, built in 1915, was home to a family who farmed the canyon and sold their produce to the local miners. The Herb Garden features a wide variety of fragrances and colors. For best effect, rub your fingers on the herb leaves, and then smell them! Past the steep cliffs of Magma Ridge, the canyon opens up to an area of big trees, featuring the Palm Grove and near the end of the trail, the Eucalyptus Forest. The eucalyptus trees were planted in the 1920s and are now the largest stand of eucalyptus in Arizona. Adjacent to the eucalyptus trees is the Australian Walkabout, a new exhibit in the process of being developed. The Demonstration Garden, next to the visitor center, presents a variety of model gardens for residential use. It demonstrates how drought-tolerant and low water usage plants can create effective and pleasant landscaping in an urban environment. A very nice picnic area is adjacent to the Demonstration Garden. 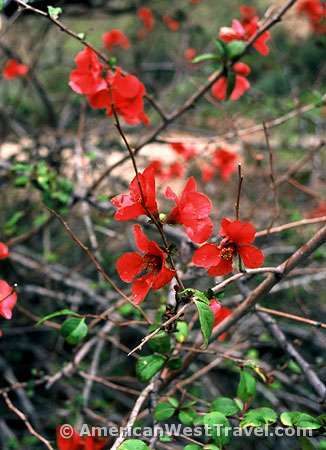 The arboretum also offers a wide variety of plants for sale to the public. The Boyce Thompson Arboretum is two miles west of Superior, Arizona on US-60, and roughly 60 miles from downtown Phoenix (using I-10, then US-60). It is about 100 miles from Tucson. Follow AZ-77 to Oracle, then AZ-79 (the scenic Pinal Pioneer Parkway) to US-60 at Florence Junction. For more information, call 520-689-2723 or visit online. Thirty miles east of the arboretum, outside of Globe, Arizona, the Besh-Ba-Gowah Archaeological Park features a pueblo built by the Salado Indians around 1225 A.D. and abandoned after 1400 A.D. The ruins are partially excavated and restored. Visitors are permitted to tour the site, including the inside of the restored buildings. The museum displays a variety of Salado artifacts found at the site, including some excellent pieces of pottery. For more information, call 928-425-0320. The Arboretum is located on US-60, two miles west of Superior, Arizona, 60 miles east of downtown Phoenix.